FINGERPRINT DISTRIBUTIONS & HAND DIAGNOSTICS: HOW TO UNDERSTAND FINGERPRINTS ON THE FIVE FINGERS? It's not a public sectret: every single fingerprint has tiny characteristics that are unique to each person. But not all aspects of a fingerprint are unique! For example: fingerprint pattern types vary significantly among males and females; and fingerprints also tend to vary among the populations around the world. But what else can fingerprints reveal? Diet, lifestyle, disease & personality can approximately be determined via fingerprints. This section also includes a new approach for assessing the significance of the combination of the 5 fingerprints in any hand! The history of fingerprinting started long ago. In quite a few ancient cultures fingerprints have been used as an item of decoration. And fingerprints are known to have been used as signatures as early as the second millenium BCE. But it took about 3 millenia since then before a fingerprint was recognized as a tool for identification. In 1880, Dr Henry Faulds, a surgeon in a Tokyo hospital, published his first paper on the subject in the scientific journal Nature, discussing the usefulness of fingerprints for identification and proposing a method to record them with printing ink. But his ideas were rejected at that time. 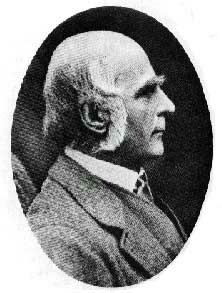 Galton's work also served as the first milestone in the scientific study concerning the classification of fingerprint types. His method for fingerprint type classification e.g. focussed on the significance of the so-called 'delta' (triradius), which resulted in 3 basic fingerprint types: the whorl (2 deltas), loop (1 delta), and arch (no delta). At the end of the 19th century fingerprints were discovered as a valuable tool for the purpose of personal identification. And due to this discovery fingerprints not only became a valuable tool in the forensic sciences, fingerprints now also have become a valuable security tool - which is applied in many biometric systems, such as: fingerprint timeclocks, fingerprint computer security, fingerprint cell phone security, and fingerprint attendance systems. What will be the outcome of the 21 century? While fingerprint pattern type distributions have been studies on the individual fingers, researchers have presented few attempts focussed on studying the significance of the 5 fingers together. 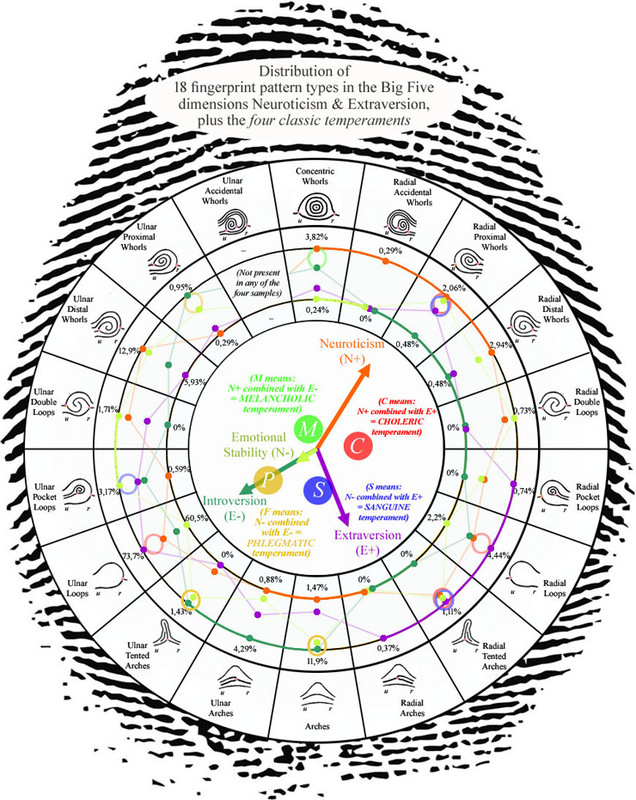 What is in 2019 the state of knowledge about fingerprints (palmar dermatoglyphics) & how did this knowledge develop in time? ...more.